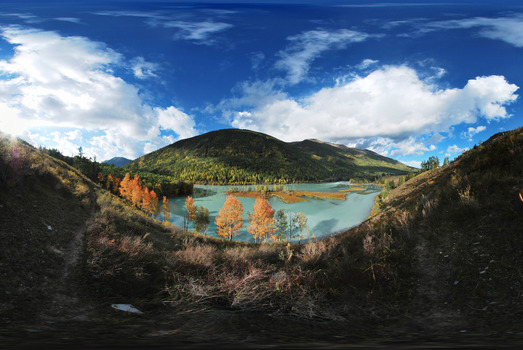 On the surface, the Xinjiang Province of China looks like a vast land of harsh mountains and deserts. In reality, it has been a busy tourist destination since the ancient times and a popular trading center. The Province has played a prominent role along ancient Silk Route and was the junction point between China and the Middle East. Consequently, out of the current provincial population of more than 21 million people and 55 ethnic minority groups, a large section is made up of the Turkic Uighur Muslim group. Majority of the architecture, especially those of the ancient monuments, has domed-ceilings and minarets like the mosques in the Middle East. The Tian Shan range of mountains dominates the landscape in central Xinjiang Province. In fact, it divides the region into two distinct basins, namely the southern Tarim Basin and the northern Dzungarian Basin. The borders of the Province are also mountainous. On the southwest are the Karakoram and Pamir mountain ranges. Xinjiang shares the Kunlun range along its southern border with Tibet and the Altai range on its northeastern border with Mongolia. The highest peak in the Province is K2 (more than 8600 above sea level) which is part of the Karakoram Mountain range that lies on Xinjiang’s border with Pakistan. Hence, the Province has many picturesque tourist attractions like the Torugart Pass and the Khunjerab Pass. The basins are cold deserts that include the Dzoosotoyn Elisen, Kumtag, and the Gurbantunggut. Overall, the Province has a temperate climate throughout the year but the temperatures vary according to the terrain. In the southern regions of the Province, the climate hardly has any extremes. The summers are cool and the winters are pleasant. Whereas, in the desert basins the day temperatures and seasonal temperatures are extreme at 33oC in the summer days and -20oC in the winter night. 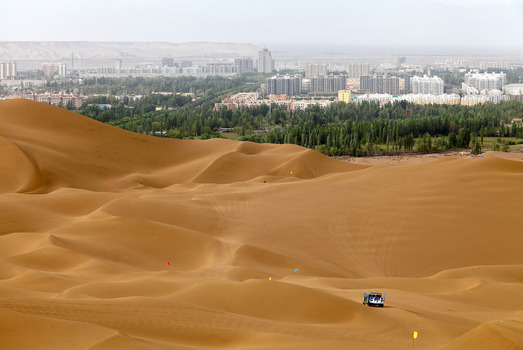 Being a cold and dry desert, Xinjiang Province has a scarcity of water. Hence, most of the cities and towns have developed along the foothills of the mountains where irrigation was possible. In these desert oasis, the main occupation is agriculture and the people live a simplistic life on local produce. In fact, Urumqi, the capital city, has been a great commercial hub since the Tang Dynasty reign because it was on the ancient Silk Route. The city has continued the ancient tradition of open-air markets, which are similar to the Middle Eastern souks. People come to the city from the neighboring villages in large numbers on market days to buy their weekly supply. Some of the shops sell interesting handmade souvenirs. 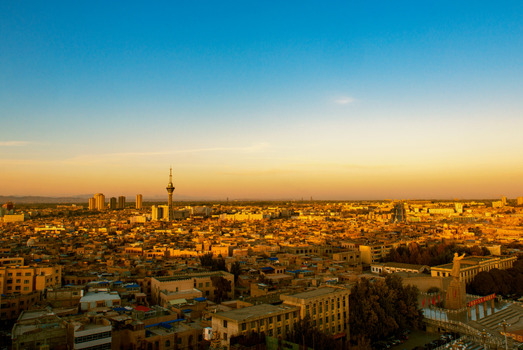 Other well-developed cities are the Turpan, Hotan, Kashgar, Ghulja, and Karamay. On the mountains, the people mostly live a nomadic life as they take their livestock for grazing along the higher slopes. They belong to the devout Muslim Uighur ethnic group who lead peaceful pastoral lives and raise livestock. The Urumqi Museum has mummified remains dating back to the 2nd millennium BC, showing that the Tarim Basin was inhabited since very ancient times. The physical characteristics of these mummies prove that the population of the inhabitants had Caucasian features with blond or red hair. 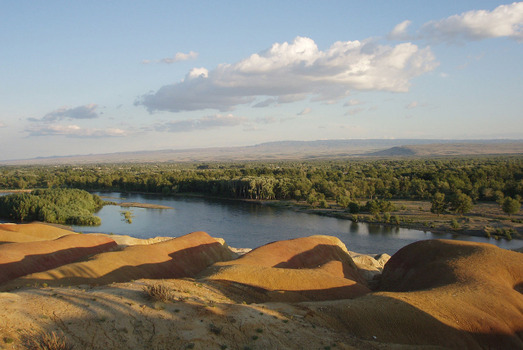 In fact, both the desert basins were occupied by either Tocharian Indo-Europeans or Saka Iranians who settled in Xinjiang. They were Buddhists by religion. Some of the locals appear to be of mixed descent and have combined features of the Tokharians and Turkic Uighurs. They are fair skinned and have light hair and eyes. Many nationalities and ethnicities have migrated to the region from different directions over the centuries. 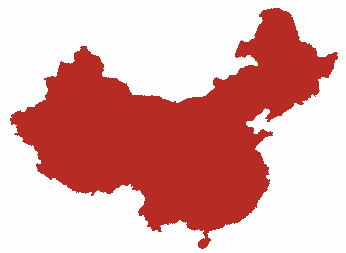 Hence, today’s 23 million population of the Xinjiang Province consists of almost 17 ethnic minority groups. The greatest concentration is of the Uighurs, Kazakhs, Russians, Huis, Tajiks, Kirgiz, Tajiks, and Mongols. Due to its abundant natural resources and trading culture, there is also a large presence of Han Chinese people who migrated to the Province over the ages. There is a good mix of religious practices like Islam, Buddhism, Confucianism, Taoism, and ethnic folk beliefs. Urumqi, the capital city of the Xinjiang Province has a very advanced transport system. The Urumqi Diwopu International Airport serves more than 35 domestic and International airlines and has feeder connections to a majority of the large cities and towns in China. The Urumqi Metro amply serves the city with a well-organized public transport system. After the construction of the Alar-Hotan Desert Highway and a network of smaller highways, there has been a lot of development in the tourism sector in the Xinjiang Province. Urumqi is the hub of the railway system in the Province. It has been and still is a popular trade route in the region. It is a busy railway junction, with lines running to other major trading and export zones of China. Called the “Routes Network of Chang'an-Tianshan Corridor”, the long road spanning many districts in the Province is a UNESCO World Heritage Site. It is part of the original Silk Route and is dotted with numerous tourist attractions along its length. The Thousand Buddha Caves in the Kuqa, Baicheng, and Turpan counties are amazing ancient relics. There are also many Buddhist places of worship like the splendid Jingyuan Temple in the western county of Qapqal. 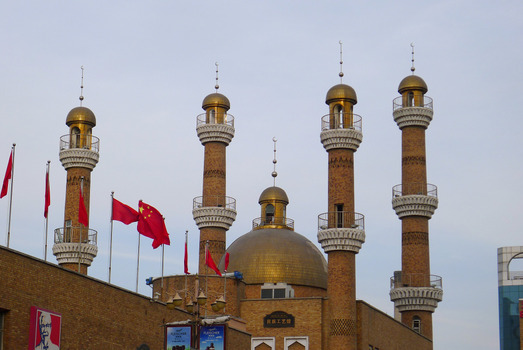 The Id Kah Mosque of Kashgar is a popular pilgrimage site for the Uighur ethnic group and is a beautiful tourist attraction. The cuisine of the Xinjiang Province is a delicious blend of Chinese and Middle Eastern styles and is as interesting as their mixed customs and traditions. Their dishes contain a generous amount of cumin seeds, black pepper, red chili flakes, rock salt, meat, dried fruits (raisins), and rice. The Uighur people’s Nut Cake is similar to the Middle Eastern baklava. It is made with dates, walnuts, raisins, and some special syrups and is very delicious. The local beverages include the Chinese black tea, kvass (a honey-based non-alcoholic drink), and the specialty of the Province - the Chinese Black Beer. 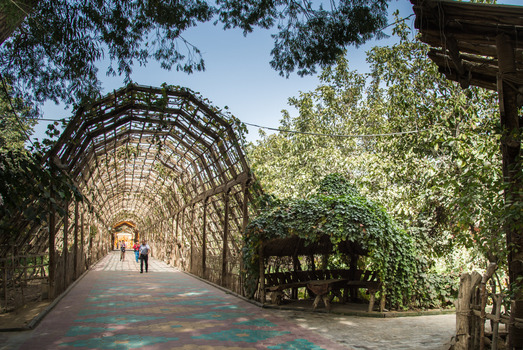 Also, the wine produced in Turpan is of a fine export quality and is definitely worth a try.